Saturday’s Group 1 Stradbroke Handicap (1350m) looks a very even contest, but with a few key contenders either drawing poorly or being weighted out of contention, Charlie Boy is the horse to beat. 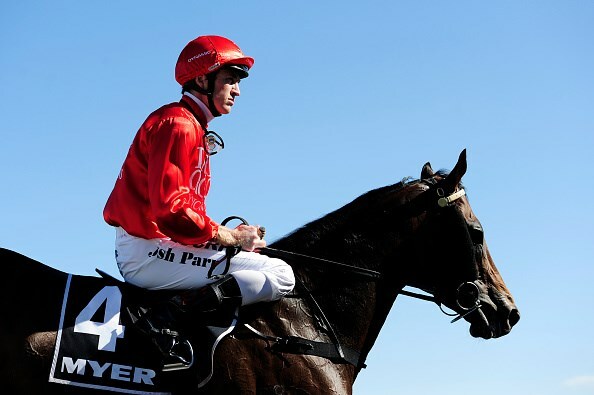 Trained by father and son team, Peter and Paul Snowden, the four-year-old son of Myboycharlie has been the most consistent and dynamic performer this campaign, and “Boy” does he get in well at the weights. His run in the Doomben 10,000 (1350m) was full of merit when jumping from barrier 15 and having to carry 59kg against some seasoned gallopers. He was caught wide and had to make a long sustained run around the field but still had the audacity to run on stronger than anything else in the race to miss out by the narrowest of margins behind Boban. Generalife also ran a cracking race under similar conditions, but the Godolphin hope has drawn the car park and will need a ton of luck to win this one. Although, the last two winners of the race have jumped from barriers 15 and 16, so there is still hope for Generalife. Charlie Boy now meets Boban 5kg better at the weights and has drawn to his inside in barrier 7, while he also meets Generalife half a kilo better off – not much but still significant. Jockey Craig Williams will use the gate to advantage, and the pair look like getting a cosy run somewhere around midfield, one of the fence. But probably the biggest indicator that says this is the horse to beat is the fact he is still on the up – and that is evident by his last two runs. He won the BRC Sprint (1350m) at Doomben in a time of 1:19.120, and then he just missed out in the Doomben 10,000 in a time of 1:19.150 while he was carrying 4kg more and had been caught wide. Considering the conditions of his last start, his performance ranks at least 2.5 lengths better and there is no doubting he has been set for this and will still have room for improvement. Kiwi galloper Sacred Star looks the big danger after impressing during trackwork this week, but if we have to narrow it down to one, it’s Charlie Boy all the way.